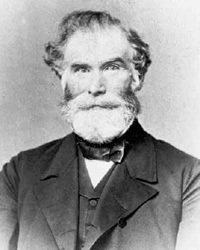 Last Discourse of Apostle Orson Pratt, delivered in the Tabernacle, Salt Lake City, September 18, 1881. The Divine Authority of the Holy Priesthood, Etc. Discourse by Elder Orson Pratt, delivered at the General Conference, Salt Lake City, Sunday Morning, Oct. 10th, 1880. A Double Birthday—The Authority of the Priesthood, Etc. Discourse by Elder Orson Pratt and Elder Wilford Woodruff, delivered in the Tabernacle, Salt Lake City, Sunday Afternoon, Sept. 19th, 1880. Discourse by Elder Orson Pratt, delivered at the Tabernacle, Salt Lake City, Sunday Afternoon, September 6, 1880. Discourse by Elder Orson Pratt, delivered in the Tabernacle, Salt Lake City, Sunday Afternoon, August 8th, 1880. Introductory Remarks—Heaven and Earth to Pass Away—Not Annihilated—Heaven and Earth not Created From Nothing—Materials Eternal—Materials Under the Dominion of Laws—Central and Orbital Forces—Compound and Elementary Substances—Earth in the Beginning—No Mortality, Then Known, on this Creation—The Fall—The Earth’s Baptism in Water—Its Baptism in Fire—Its Baptism By the Spirit—Its Justification—Its Sanctification—Its Purification—Its Thousand Years’ Rest, Etc. Discourse by Elder Orson Pratt, delivered in the Tabernacle, Salt Lake City, Sunday Morning, August 1st, 1880. Visions of Moses—Rebellion in Heaven—Satan Cast Down—Our First Parents Fell—Before the Fall They Were Immortal—After the Fall, Mortal—The Command to Multiply Was Given to Two Immortal Beings—This Command More Fully to Be Carried Into Effect, After the Resurrection, Etc. Discourse by Elder Orson Pratt, delivered in the Tabernacle, Salt Lake City, Sunday Afternoon, July 18th, 1880. Discourse by Elder Orson Pratt, delivered in the Tabernacle, Salt Lake City, Sunday Afternoon, June 20th, 1880. The Power of God to Communicate Intelligence—Difference in Capacity Between the Mortal and the Immortal—The Future of Man, Etc. Discourse by Elder Orson Pratt, delivered in the Tabernacle, Salt Lake City, Sunday Afternoon, June 13th, 1880. Discourse by Elder Orson Pratt, delivered at Mount Pleasant, November 12th, 1879.